I went to Costa Rica a couple of years ago. And since I am outrageously verbose at all times, and I want to tell you the funny and ridiculous things, I will not make your eyeballs dry out and pack it in to one post. My friend and I were completely worn out from our jobs, and were suffering from an acute case of wanderlust to leave our native country. Fran: Care Bear shaped protagonist that is highly accident and disaster prone. Has a hard time understanding stray animals might be rabid. Brake: Large headed protagonist that is highly accident and disaster prone. Does not like eating meat in other countries, and hates pudding. *Just so everyone knows, I got permission to say anything about her head. Also - are you kind of wondering what she doesn't want me to post? 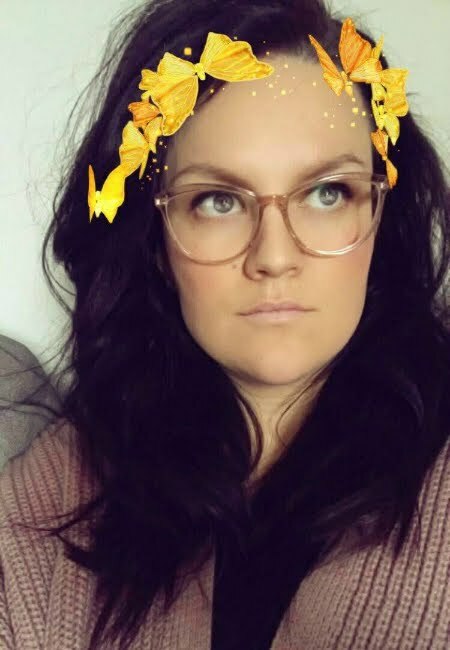 Susannah: Possesses head of normal proportions, former resident of Costa Rica, translator for the aforementioned characters, and former roommate of Fran. (Susannah and I used to play dress up and drive around Lexington singing the Dreamgirls soundtrack. We were in our twenties. That's fine). Brake and I drove up to Chicago to catch a flight to Miami, before flying into San Jose. I kept joking that we could be just like Kate Beckinsale and Claire Danes in Brokedown Palace. 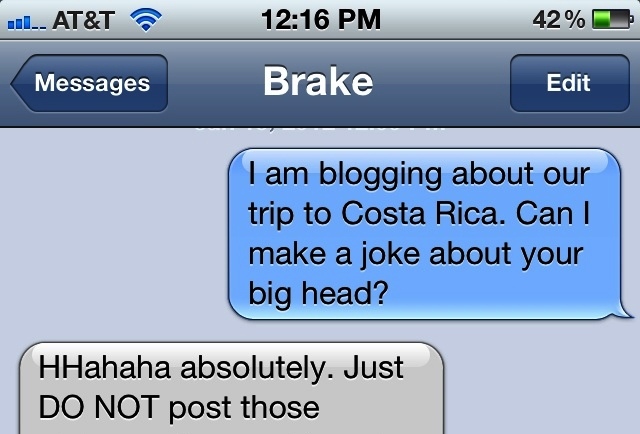 Because Brake and I are the type of people that get tricked by drug lords in foreign countries and never return home. We sat in Miami for a few hours before going on to San Jose. We walked too far from the gate and did not pay attention to the time. I was buying expensive, poor quality airport sushi when Brake realized we were going to be late and we were a million gates away from our own. So we ran - with our shirts flying up, too many bags to handle, and me - trying not to drop my sushi. Since I didn't want to be that girl to bring fish on to the plane, I shoveled large amounts of raw (could have been sitting out for days) tuna into my mouth and tried to get in the boarding line. I don't remember if Brake was pretending not to know me at that point, but I felt too sick to care or notice. Once safely on the plane, I chose the only lavatory on the plane that had no lights. You know how you close the door, and once it locks everything lights up? That didn't happen. It was complete darkness. There was a line to the other bathroom. I had nowhere to go. So I just went and hoped for the best. I had to go back to my seat and apologize to Brake because I wasn't sure if I had peed all over my shorts or not. 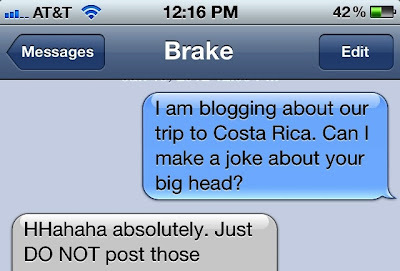 Brake sent a tweet to Costa Rica. Safely in Miami - without any kidnapping or injuries. I'm pretty sure this was before the sushi because I look pretty happy still. What is the first place you would think to go once you arrived in Costa Rica? If you thought, "Why, Denny's! Of course!" You were right. I award you so many imaginary points. Look how beautiful this fresh papaya is. I want to tell you how delicious it was. But I can't, because even looking at this picture reminds me of how gross it was. Give me some mango, please! On one of our first evenings there, we stayed in lush and ridiculously expensive resort. Susannah is an extremely talented photographer, so we rode on her coattails to a wedding she was shooting at this hotel. Los Suenos. We stayed there for one night. We walked in to this view. We were greeted with cold guanabana juice. I just need you to know that it is magical and if anyone offers it to you, pour it over your head and roll around in it. It is that delicious. Maybe it was actually a honeymoon for us. Not sure. While Brake assisted Susannah for a bit, I explored and enjoyed a magnificent rainstorm on the balcony. When I was tired of sitting, I went on to photograph everything. Like this mamon chino! The weirdest thing that Brake and I couldn't stop eating. For the record, you are not supposed to eat the seed. Brake and I didn't know this until we'd eaten like a pound of them and chomped through them like squirrels preparing for hibernation. For one night, we acted like queens (royalty, not drag) and enjoyed the luxury. We woke up and ate one of the biggest breakfasts I've ever encountered. It was big because it was a buffet and I absolutely was getting my money worth and not eating for the rest of the day because it was so expensive. After our departure from Los Suenos, we went on to our "beach house." I use the quotations because false advertising is just not a big deal in Costa Rica. We were not on a beach, but once we found it - we stayed. There are very few pictures with us in them. At some point we stopped for milkshakes and found this dinosaur. Thank you, Costa Rica. You really know me. I have some more snippets to share. Come back to me! 1. Hahaha I know, I thought that. ONLY FIVE MORE YEARS FOR ME, THOUGH. I was just trying to emphasize how age did not hinder our playing dress up. 2. Oh my gosh that car ride. I think I did block it out because I thought it was the end of our lives. The end. I will have to share some of that in the second post. 3. He will make an appearance. With the appropriate caption. 4. Did you win the creativelive contest? You wrote a song! COME ON, PEOPLE. bahaha...oh, yeah, that song. no one was supposed to see that, lol. and NO I didn't win. :( but it's fine...I think it's because I'm supposed to go on the next creativeLive with Sue Bryce (google her now.). Which means another video. oh dear. I dont remember how I found your blog. But I have enjoyed it. And enjoyed this post SO much. Thanks for the laughs. I think being married with 5 kids, I vicariously live through you. :) Thanks for writing! Ahh, I am so glad you found me :) and that you shared this. I am glad it feels like an adventure for you, too - it makes me so excited to share all of it. It sounds like you have a really great adventure yourself with a houseful of sweet kiddos!